Mango (Mangifera indica) is a major tropical fruit species cultivated in Brazil. 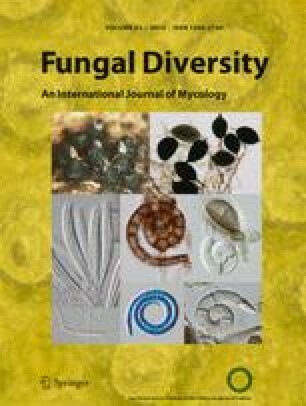 The objective of this study was to identify species of Lasiodiplodia associated with dieback and stem-end rot of mango in the semi-arid region of Northeastern Brazil, and compare the species in relation to mycelial growth, pathogenicity and virulence. A total of 120 isolates of Lasiodiplodia were used and identifications were made using a combination of morphology and phylogenetic analysis based on partial translation elongation factor 1-α sequence (EF1-α) and internal transcribed spacers (ITS). The following species were identified: Lasiodiplodia crassispora, L. egyptiacae, L. hormozganensis, L. iraniensis, L. pseudotheobromae, L. theobromae and Lasiodiplodia sp.. Lasiodiplodia theobromae was the most frequently isolated species, which represented 41 % of all the isolates. Only this species had been previously reported on mango in Brazil, while the other species represent the first report associated with mango tree diseases in this country. Lasiodiplodia crassispora is reported for the first time associated with mango diseases worldwide. There were significant differences in mycelial growth rates among the Lasiodiplodia species and also in the optimum temperature for growth. All species of Lasiodiplodia were pathogenic on mango fruit. There were significant differences in virulence among the species, wherein L. hormozganensis and Lasiodiplodia sp.were the most virulent, while the least virulent were L. iraniensis, L. pseudotheobromae, L. crassispora and L. egyptiacae.